Sharing files between several computers or mobile devices can be very useful for our work. 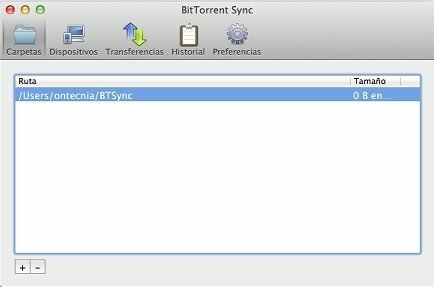 BitTorrent Sync is an application that allows us to do so in a secure manner, making use of the P2P protocol. Unlimited synchronization of files between devices and users. Information transmission system based on the P2P protocol. Possibility to share specific files or folders. Unique random codes for each folder that intends to be synchronised. Generation of keys to prevent the modification of files. 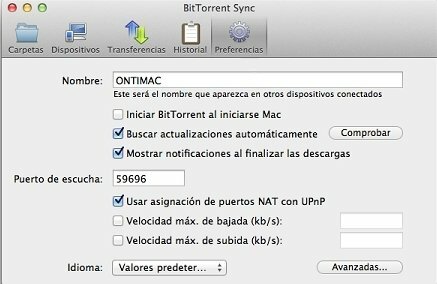 BitTorrent Sync allows the synchronization of information between your devices or with other users. With encrypted and password-protected transfers, carried out directly between users, we can share files, whole folders or make backups in a totally private manner as the information is never stored on third-party servers. All the advantages of P2P to share files as you wish. Especially useful to transfer large files without needing to compress them or jeopardizing their integrity, downloading BitTorrent Sync becomes a solid option to be considered when it comes to sharing any kind of information.